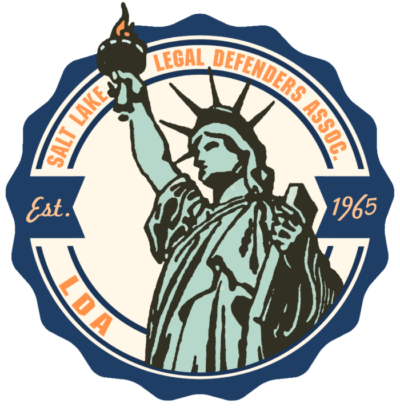 Established in 1965, the Salt Lake Legal Defender Association is a nonprofit law firm organized to provide the highest quality representation to eligible individuals accused of crimes in Salt Lake County. Our office of dedicated lawyers, social service professionals, mitigation specialists, legal assistants, paralegals, and investigators work hard to protect the rights of our clients. We advocate without compromise, zealously working to ensure we provide our clients with effective, creative, and compassionate legal assistance. Our office litigates cases ranging from misdemeanors to death penalty cases; however, we never forget that each case is important to our clients, their loved ones, and our community. Whether it’s a trial before their peers, admission into a specialty court, or an advantageous plea bargain, our attorneys always try to get our clients the best possible outcome. Our attorneys are aided by our experienced investigative team, enabling us to present a strong defense by locating and interviewing witnesses and hunting down exculpatory evidence. Our social service professionals and mitigation specialists can provide judges, juries, and prosecutors with background information, assessments, and treatment plans that can reduce recidivism, reintegrate our clients into the community, help individuals onto the path of recovery and offer better alternatives to incarceration. In addition to helping our clients, our work and coordination with community treatment providers saves taxpayers money. In 2015, the cost of incarcerating one inmate at the Utah State Prison for one year is $29,349; each client who receives the treatment necessary to change their lives also saves our community money, makes our city safer, and rebuilds families. Our work ensures that everyone in Salt Lake County receives the same protections guaranteed by the constitution. When we challenge evidence, expose untruths, and demand that the police conduct thorough and fair investigations, we protect everyone from governmental overreach. Our advocacy makes the criminal justice system a fairer process for everyone. Our staff treats clients, coworkers, and community partners with compassion, kindness, and respect.